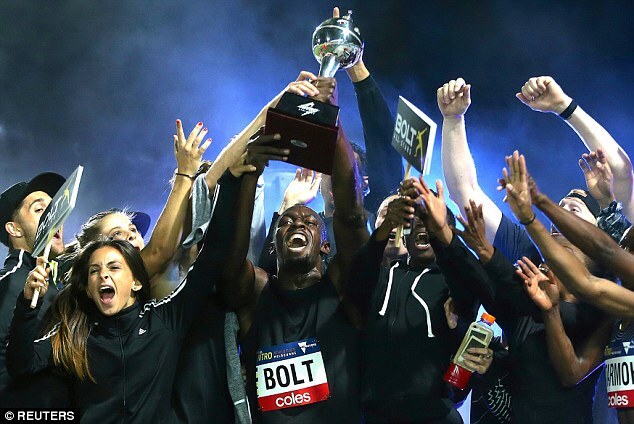 Usain Bolt and his All Stars completed a clean sweep of the inaugural Nitro Athletics series on Saturday, with Bolt winning the 150m race in his only solo appearance of the three-night meet. 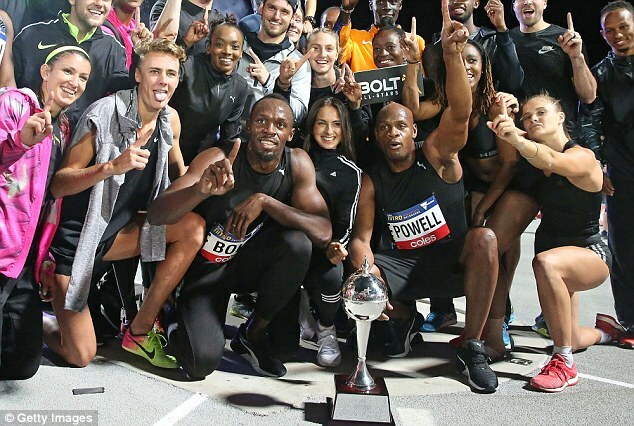 With Asafa Powell and Bolt – the former and current 100m world record holders – running the opening two legs of the deciding 4×100-meter mixed relay, the All Stars ensured they made up a 38-point deficit on Australia to finish first overall in the team event that also included England, Japan, New Zealand and China. 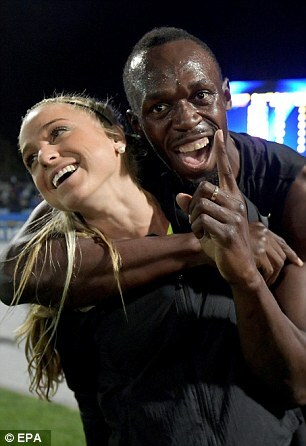 Eight-time Olympic champion Bolt won the 150 in 15.28 seconds. 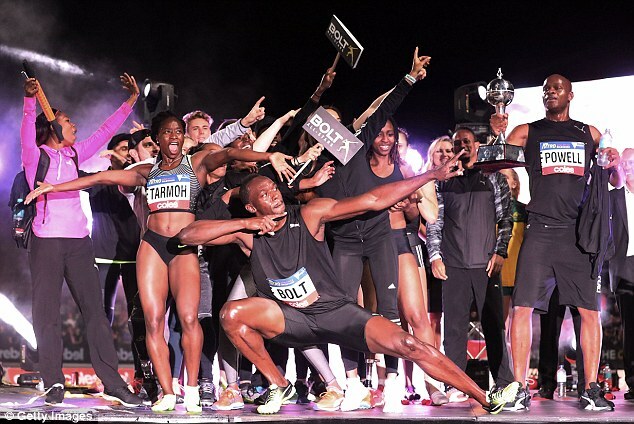 The Nitro meet featured mixed relays, sprints over non-traditional distances and elimination mile races where the last-placed runner at the end of each lap was eliminated. On Friday, IAAF president Sebastian Coe said he was a big fan of the Nitro concept. 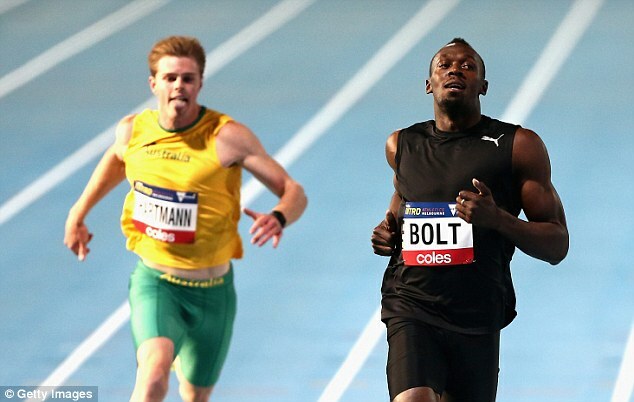 ‘I saw engagement, I saw fun and laughter and that’s what the sport has been missing for a long time,’ Coe said. ‘It was a terrific start. 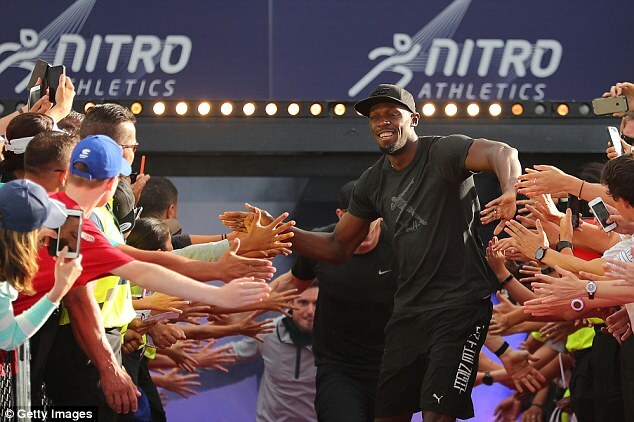 Nitro was developed by former Australian 400-meter runner John Steffensen and Athletics Australia, while Bolt is also a key figure and holds an equity stake in the concept. 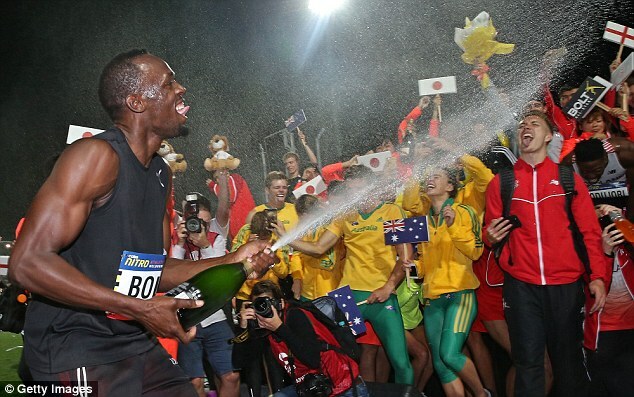 The event – with Bolt headlining – is likely to return to Australia in 2018.